1 July 2016. Ouagadougou, Burkina Faso. The workshop on Policy Dialogue and Strengthening of the capacity of pastoralists’ networks and organizations reaffirmed the vital role of adapted and resilient pastoral systems in the face of climate change. 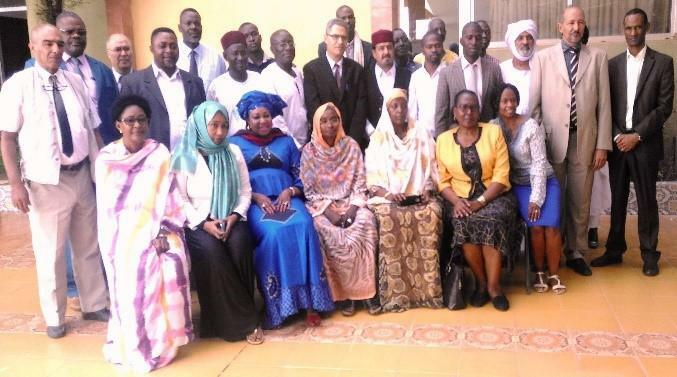 The three-day gathering workshop was organized by the Department of Rural Economy and Agriculture (AUC/DREA), through Pastoralism Division, under the theme: “Resilience and adaptation to drought conditions and pastoralists systems in Africa”. It was attended by various experts and actors, namely representatives of the AUC, Regional Economic Communities (RECs), pastoralist organisations, Farmers’ Organizations, National Governments and Civil Society Organizations. The main objective of the workshop was to understand the mechanism for assessing and predicting risks, monitoring and early warning in pastoralists’ regions. The workshop provided the opportunity for the creation of platform for exchanges, dialogues and cooperation among African pastoralist organizations and networks which would facilitate the management, sharing and dissemination of knowledge and best practices of pastoralism. A key recommendation of the workshop was that AUC, in collaboration with RECs, should provide the needed support to cascade the AUC policy framework on Pastoralism in Africa in the New Generation of Regional Agriculture Investment Plans (RAIPs)/National Agriculture Investment Plans (NAIPs) under theComprehensive African Agriculture Development Programme (CAADP).